*A short video of Petar's experience with fútbol's impact in Anemona is forthcoming! Stay tuned. Our producer Petar has been spending this week digging gardens for the people of Anemona, El Salvador, a shanty town outside the capital of San Salvador. It's such a blip you can't even find it on Google Maps. But like so many impoverished places in Latin America, Anemona is another example where soccer provides an escape. Extreme poverty and daily incidents of gang violence may cripple this town, but fútbol makes it smile. 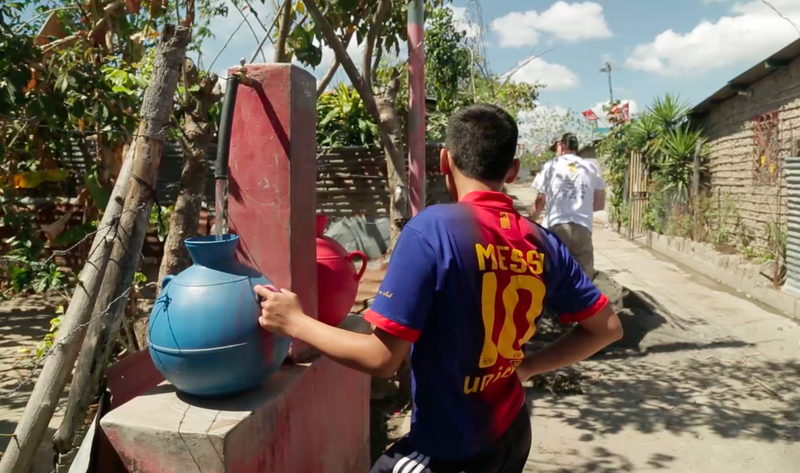 Crammed in between the Pan-American highway and some old railroad tracks, you'll notice the bright spots in this tin-roofed village: fruits and fútbol shirts. Here are a few pics that capture the latter. American Fútbol is on a mission to give you an authentic glimpse inside more Latin American pueblos like Anemona through the lens of soccer. Be a part of our project and make a donation here.